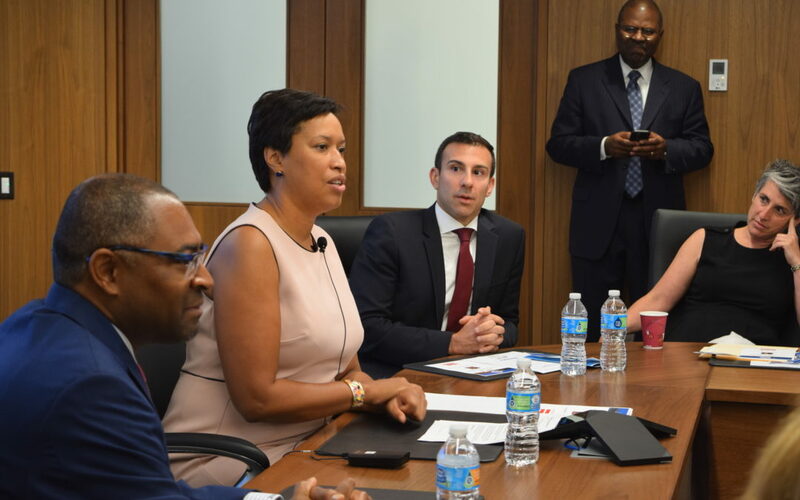 D.C. Mayor Muriel Bowser, center left, at the ARTBA offices on Sept. 28. Washington, D.C. Mayor Muriel E. Bowser (D) reviewed the city’s capital project opportunities during a Sept. 28 breakfast meeting with ARTBA’s local chapter, the Metropolitan Washington Road & Transportation Builders Association (MWRTBA). The District is bolstering its state of good repair program for local streets. About 30 percent of such roads are in poor condition, Bowser said. The D.C. government is also partnering with utility provider Pepco to improve the reliability and resiliency of the electric system by placing select power lines underground. Bowser said the DC Infrastructure Academy should be of interest to MWRTBA members. The innovative workforce training program will provide hands-on experience and access for residents to secure long-term employment in the infrastructure industry. Bowser said the District is committed to east and west extensions of the H/Benning line streetcar. “Ridership is higher than planned, and it’s not just tourists,” she said. A $441 million design-build contract has been awarded to South Capitol Bridgebuilders, a joint venture of Archer Western Construction and Granite Construction, with AECOM as the lead designer. 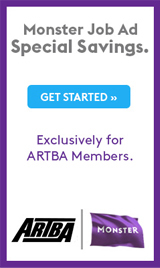 All three firms are ARTBA members. Work is expected to begin next year, and the bridge is projected to open in 2021. Bowser has held elected office in D.C. since 2007. On Sept. 22, she announced plans to seek reelection in 2018.